"St. Paul clearly states: "Let this mind be in you which was also in Christ Jesus..." (Phil 2:5.) How do we acquire this Mind of Christ and where is it to be found? 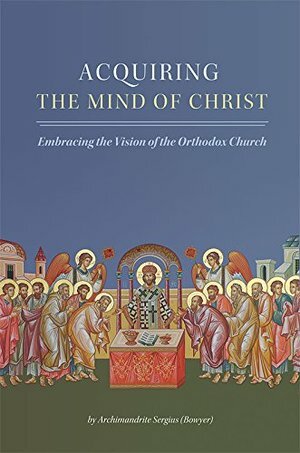 For the Orthodox Christian, salvation is the acquisition of this Mind of Christ which is to be found in the Church. This acquisition moves us from the image of God to the likeness of God; through our obedience to this call we begin to know God and this knowledge is eternal life (John 17:3). This small book hopes to begin to answer how acquiring the Mind of Christ is possible and why it is necessary in our lives today. Fr. Archimandrite Sergius serves as the 16th Abbot of St. Tikhon's Monastery. He teaches at St. Tikhon's Seminary and has traveled extensively for the Monastery and Seminary giving talks and retreats."